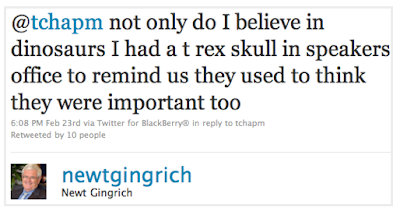 Googling reveals that liberal websites have documented some of Former Speaker Gingrich's mentions of dinosaurs. I think the best of all is this tweet from about a year ago. 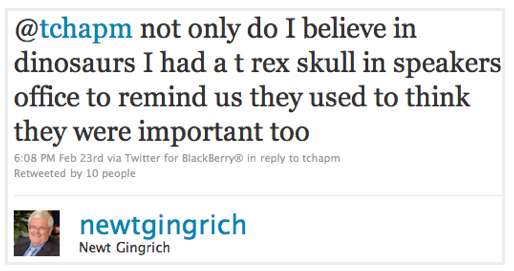 The attempt to show humility by putting a T-Rex skull in one's office is just so Newt.